I enjoyed this black bean soup when I was invited to a friend’s house last week to celebrate my birthday. It was a delightful lunch and I found out that she had called another friend to see if I would like this soup. Fortunately, my other friend told Anna that I’d be delighted with her soup. I was! Anna is from Belize and she likes the food she grew up with, so when we’re at her house, we often get to try new (for us) dishes. 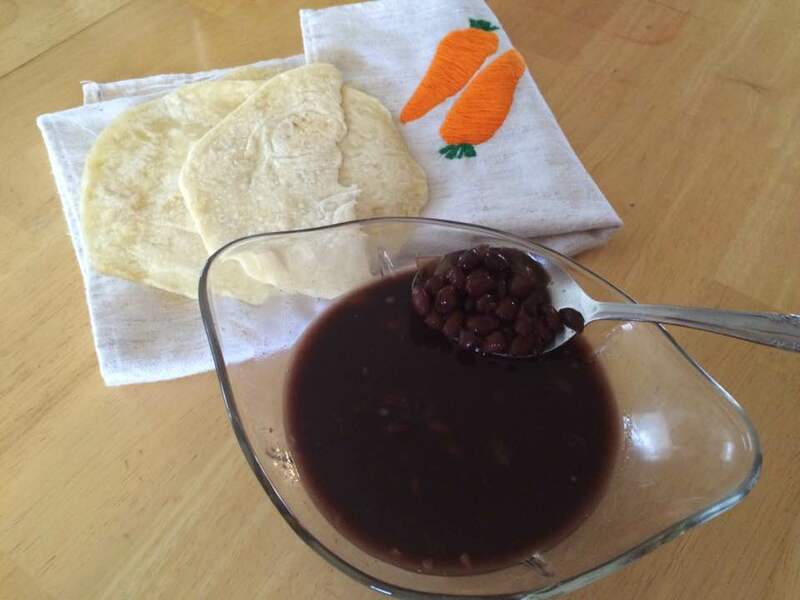 Not only did she dip out this scrumptious homemade black bean soup, she served fresh homemade tortillas on the side. She acts like it’s no big deal, and it seems effortless to her. I’ve used her recipe, and I have to think when I’m fixing tortillas. I haven’t perfected them yet, but my tortillas are getting better each time, and they are certainly better than store-bought. When I asked her for the recipe, Anna had to stop and think a minute. She has a recipe she “sorta follows”, so she had to figure out what part of the recipe she added and where she did her own tweaking. I wrote it down word for word as she explained the steps she took. With this soup, you can fold up small pieces of tortillas and then dip them in the soup. At least, if you grew up in Anna’s home in Belize, that’s how you do it. I could eat this several times a week. 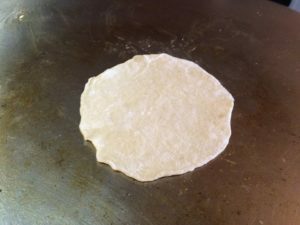 For a recipe on how Anna makes her tortillas, click here. 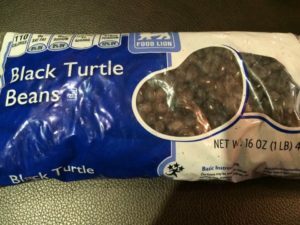 For the soup, if you cook the black beans under pressure you don’t need to soak them first. If you do them in a kettle, soak them according to the package directions. I usually do the quick soak. While the beans are cooking (in whichever kettle you choose), saute onion, garlic, salt, pepper, until tender and then add it all to the beans. Add a whole hot pepper (in its case and not “popped”). If you want to add some bacon grease (providing you have some on hand) you can add more flavor to the soup. Bring it to a boil and then simmer for twenty minutes. 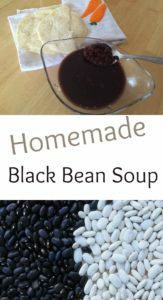 An easy recipe for homemade black bean soup. Plenty of fiber, flavor, and fancy, if you ask me. Simple to make and nutritious as well. Who Says We Have to Respect Authority? !